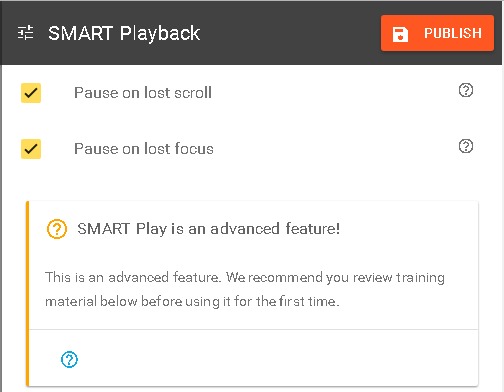 The SMART Playback settings are located under ADVANCED OPTIONS. 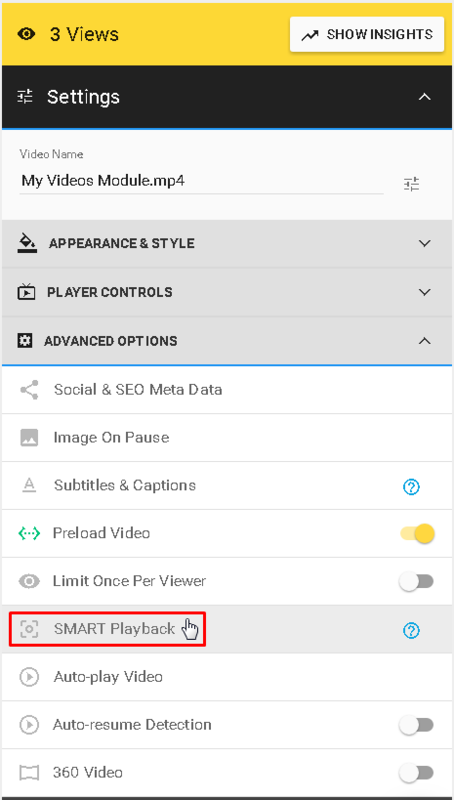 Click on this feature to open advanced settings and you will have the option to further determine when the video is paused/played. Checking lost scroll will pause the video whenever someone is scrolling down your page leaving the video behind. Checking lost focus will pause the video whenever someone is switching tabs while the video is active. Do not forget to click on the PUBLISH button to save those settings.